The seventies was a sharper era after the radical experimentation of the sixties. Shapes were becoming more angular and harder-edged, while many supercar manufacturers were trying new things to win over their adoring fans. Read on for our selection of the greatest supercars of the 1970s. The smaller of the two Maseratis on this list, the Bora was a mid-engined, two-seat coupe (a formula that Italian manufacturers are quite good at, as it turns out). Boras came fitted with either a 4.7-litre or a 4.9-litre V8 engine, with the latter producing 320hp at 6000rpm, enough to take the Bora up to 171mph. The Giugario-penned body took on some of the avant-garde styling cues of 1960s Miuras and sharpened them for the 70s, a decade synonymous with wedge-shaped supercars, as this list will attest. 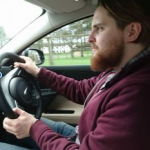 Along with the futuristic looks came technological improvements to make the Bora easier to live with day-to-day, including a pivoting steering wheel to ease entry and exit, and a hydraulic pedal box to allow the driver to find the position that suited them the best. 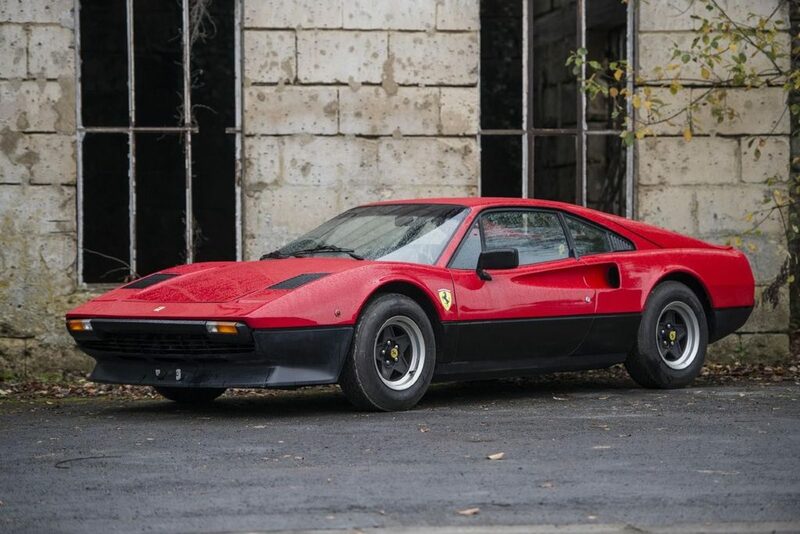 Today, a well-kept Bora at auction will fetch price tags high enough to rival that of modern mid-engined Italian supercars, with a stunning black 1973 4.9 taking €179,000. While Italy was refining its lithe, precision mid-engined supercar ideology, in Britain, Aston Martin was pressing on with what it knew best. 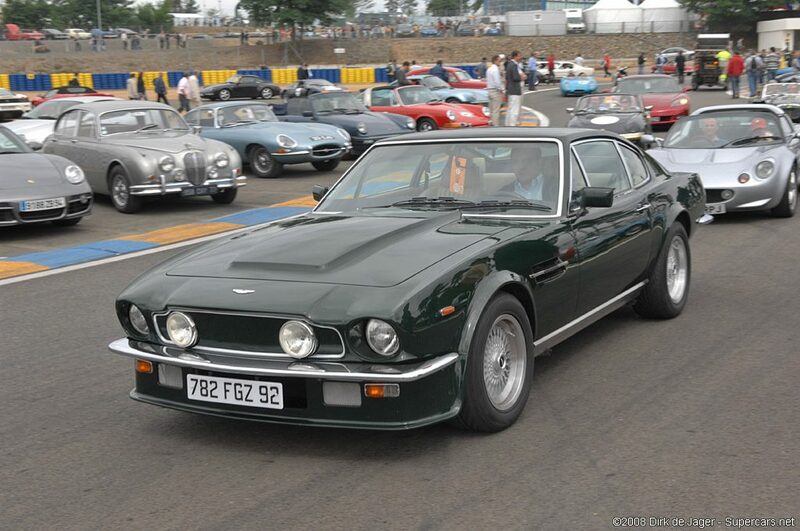 The V8 Vantage was produced from 1977 through 1989 and featured a 5.3-litre V8, which produced 375hp in early cars. Straight-line performance was excellent, with the Vantage making the 0-60 dash in just 5.3 seconds (one-tenth quicker than the Ferrari Daytona). The looks brought some of Aston’s more traditional design features up to date with an aggressive front-engined coupe stance. The Bora’s “grown-up” counterpart arrived in 1974, when Maserati decided to produce an new V8 Grand-tourer. 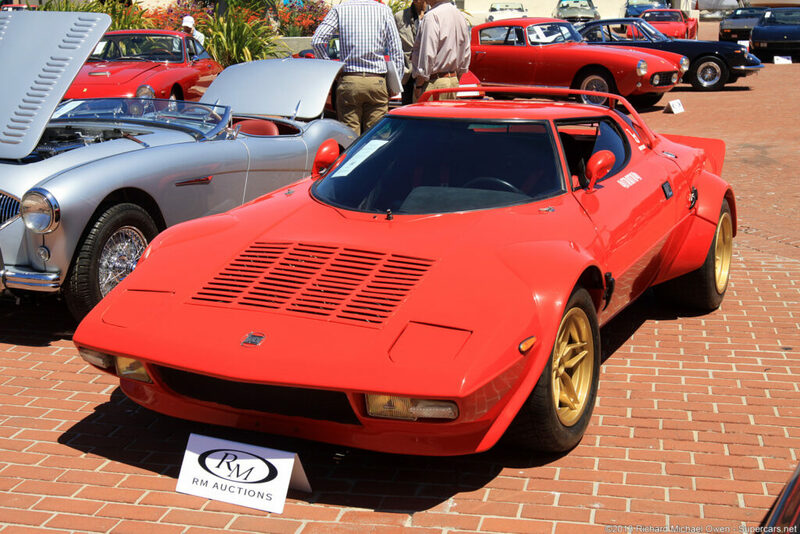 The Khamsin was a 2+2 coupe, featuring the same 3.9-litre powerplant as graced its mid-engine stablemate. Comfort was the aim of the game here, and to this end Maserati fitted the Khamsin with a silky-smooth Citreon hydraulic system, which powered the brakes, steering and pop-up headlamp pods, as well as the suspension. This matched the laid-back nature of the car’s torque-ey V8 well, making long journeys a breeze. US-spec cars had a number of styling changes to meet regulations, including bulky bumpers which ruined the cars’ lines. Euro-spec Khamsins on the other hand were left with those Bertone-designed lines intact, as well as featuring a neat transparent lower panel at the rear, giving the lights the impression of floating free of the bodywork. 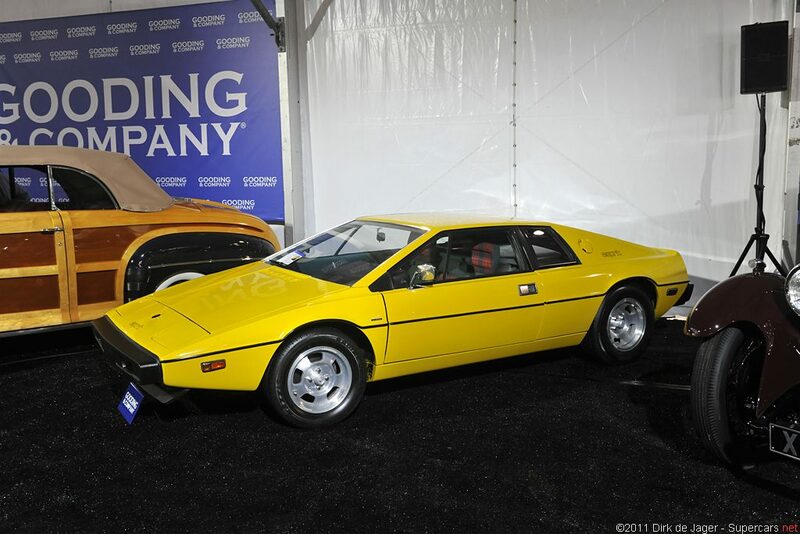 A well-kept, low-mileage US Khamsin in striking Gallo colour, restored to its European glory, fetched $139,000 at Sotheby’s auctions in 2016, having previously made a TV appearance on Jay Leno’s Garage. In the sixties, Porsche had found its feet with the 911. The seventies saw the German manufacturer really start to capitalize on that success, introducing variations on the theme. 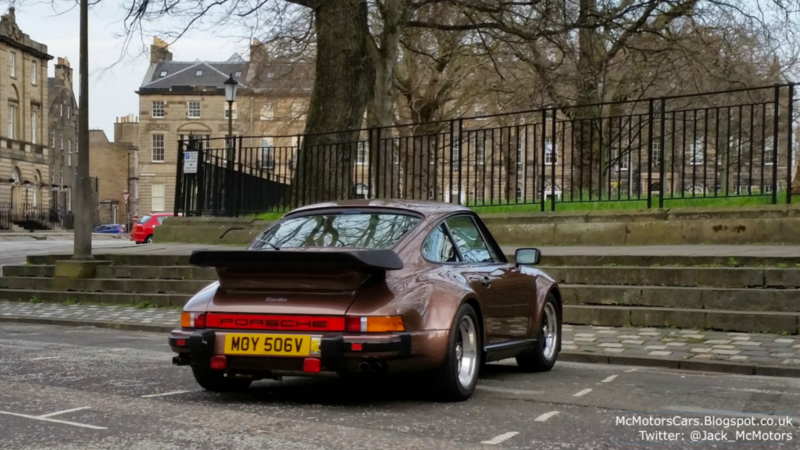 This decade gave us the 930-generation, with the first 911 turbo arriving in 1975. The 3.0-litre from the Carrera was carried over and turbocharged, giving an output of 260hp, which could launch the Turbo from 0-60mph in 4.9 seconds, making it one of the quickest cars of the period. This engine, as with all 911s, sat over the rear wheels, themselves contained within deep flared arches which still feature in the design of modern 911s. In 1978, that engine was enlarged to a 3.3-litre capacity, giving the already difficult-to-control Turbo 300hp, and making it even more unforgiving. The short wheelbases, combined with the rear-engine layout, made Turbos prone to snappy oversteer, earning this car a fierce reputation. 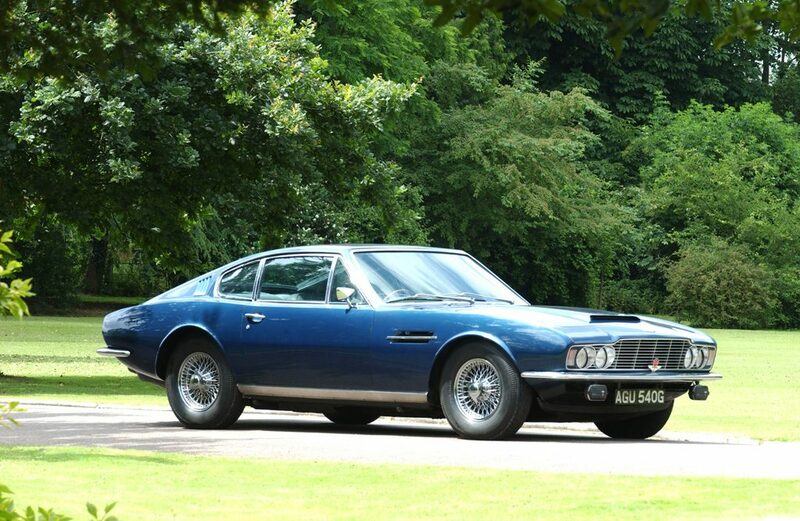 Aston Martin’s flagship in the early 1970s was the DBS V8, the 5.3-litre 315bhp taking the place of an earlier six-cylinder motor. With an output of around 320bhp, the DBS V8 was capable of 0-60 in 6 seconds and a top speed of 170mph, making it a proper contender against the supercar royalty of the day. The DBS featured the iconic Aston Martin grille, though initially with four headlamps as opposed to the now-standard two units, and exudes a certain menace through the combination of restrained, bodywork with muscular features bulging through, like the bonnet scoop which became gradually more pronounced over its lifespan, until 1978 when the scoop was closed for the Oscar India and Volante editions. While the rest of the manufacturers on this list were either dabbling in creating a modern interpretation of a grand tourer, or producing wedge-shaped supercars with incredible numbers, Lancia were going rallying. And they were doing really rather well at it. In 1973 they introduced the Stratos. With the 2.4-litre V6 Ferrari Dino V6 installed mid-ship, wrapped in an incredibly light and angular fiberglass body. 190bhp was the output of the road-going version, enough to launch all 980kg of Stratos from 0-60 in 6.8 seconds, and on to a top speed of 144mph. In rally trim, Stratos produced up too 320bhp, giving the tiny car absolutely ballistic performance, and propelling it to victory in the World Rally Championship for 3 years between 1974 and 1976. 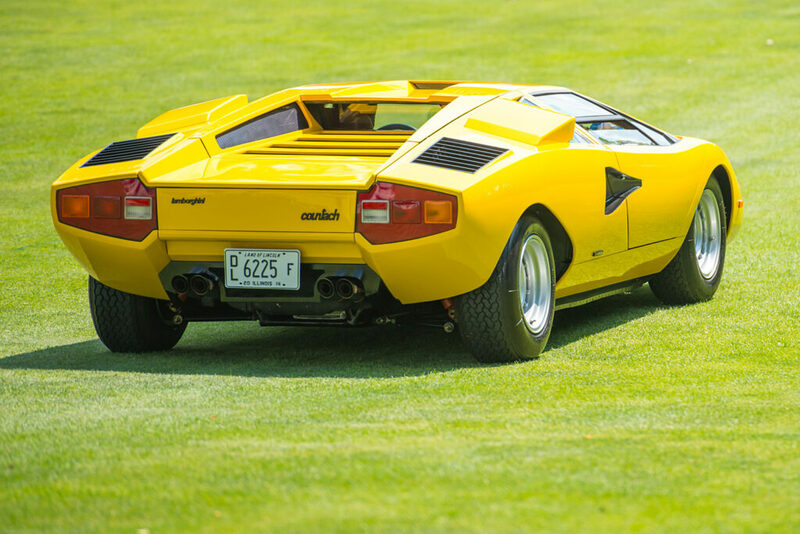 Ask people of a certain age to describe a supercar to you and they’ll probably end up describing a Countach – regardless of whether they’re into cars or not. The Countach typifies everything that was good about 1970s supercar design. Starting with a common wedge shape (which was rather the style at the time, as you can see from the rest of this list), Lamborghini created an icon, complete with space-age spoilers, vertically opening scissor doors, conventional and pop-up headlamps and muscular air intakes. The original LP400 Countach had a clean, oblong diamond shape in profile, penned by the Bertone studio – which had form working with Lamborghini, as a notable previous design produced by the coming together of the two companies was the Miura. These early cars are approaching collectible status, and prices for mid-70s Countach are closing in on the £1m mark. A 4-litre, 375hp V12, also related to Miura, sat mid-ship beneath the jaw-dropping bodywork, which remained virtually unchanged between concept car and production – to the delight of ‘70’s petrolheads. Those futuristic looks may well have contributed to the Countach’s long lifespan, as the story of this legendary Lamborghini continues in our upcoming 1980s list. It may surprise some people that in the seventies Porsche hatched a plan to replace the 911. 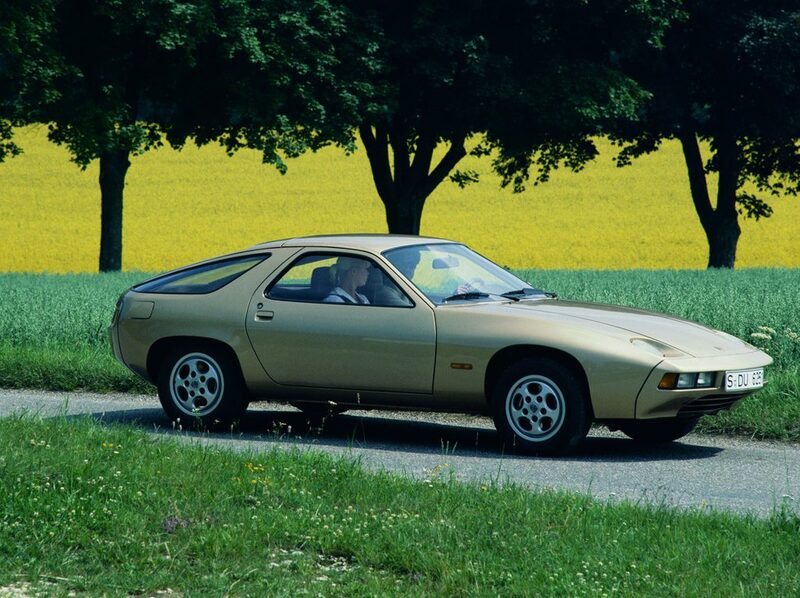 It was considered outdated with its rear-engine layout, and so the 928 was born. Envisaged as moving Porsche upmarket by targeting the thriving grand touring sector, the 2+2 layout increased the versatility of the design, and putting the engine up front mean more space for luggage in the back. Originally sold with a water-cooled 4.5-litre V8, the first cars sold in Europe produced 237hp, while North American 928s had to make do with 219hp. The 308 GTB was introduced at the 1975 Paris motorshow, its angular, aggressive body concealing a 2.9-litre V8 producing 252bhp. With dry sump lubrication, the engine could be mounted lower in the car, lowering the centre of gravity for better handling. 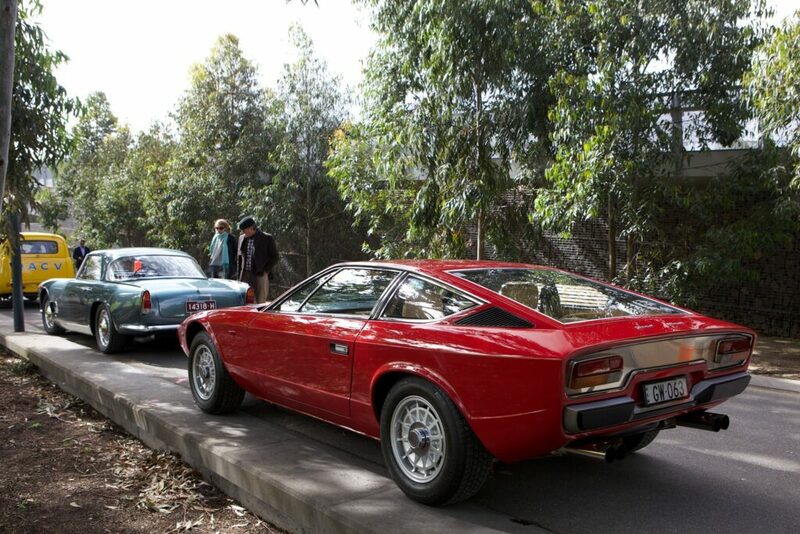 Taking its Bertone-penned predecessor, the Dino, as a starting point, Pininfarini modernized the lines, while retaining some elements like the circular rear lamps, crafting an evolution between the two designs and an unmistakably mid-engine profile. 0-60mph was taken care of in 6.5 seconds, with the 308 GTB topping out at 159mph. Handling was nimble, aided by further weight saving thanks to the body’s fibreglass construction. 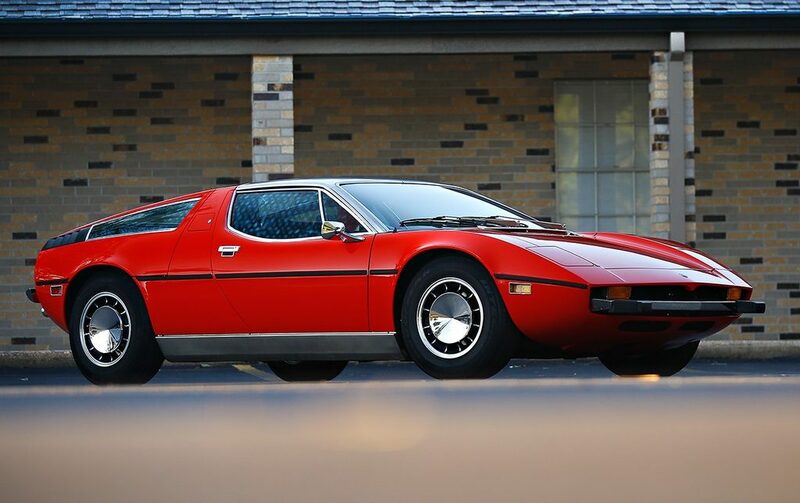 Originally put together as a racing car with road-going versions produced to fulfill homologation requirements, at the time it’s doubtful even BMW know the M1 would create a legacy of one of the greatest performance car dynasties of all time. But, with Lamborghini having been originally involved in the project, how could this car not have turned out to be something special? 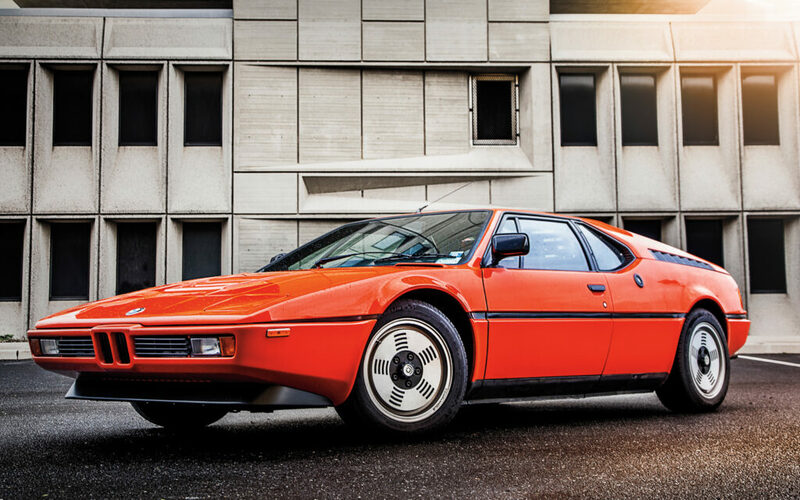 The first ever mass-produced BMW with a mid-engine layout, the M1 featured a 3.5-litre six-cylinder engine producing 273hp, enough for a top speed of 162mph and a 0-60 time in the mid-sixes. Of the 453 produced, 20 examples were Procar race versions, featuring a modified version of the M88 engine fitted to road-going M1s. Looking exclusively at the numbers, many would discount the first-gen Lotus Esprit in the company of some of the other cars on this list, but the 2-litre, four-cylinder 160bhp engine does not tell the whole tale. The number that’s really worth paying attention to is the weight – 898kg. The S1 Esprit featured Giugario-sketched lines and the performance to match. Another of the ruler-and-pencil wedge-shape school of car design that was so prevalent in this decade, the first Esprit was introduced in 1975, and while 0-60 and top speed were a little behind the competition, in the corners all that weight saving really paid off – the Esprit being one of the finest-handling mid-engined cars of its generation. Was the seventies the decade of your favourite 20th century supercar? Let us know on Twitter or in the comments!